In New York, we are about to get a record breaking blizzard. They are estimating a snow fall between 24 and 36 inches. That is 3 feet people! So, what does one do in preparation for a snow storm like this? Bread, milk and eggs of course. I am not sure why those are the essential items that one buys in a storm like this.. I mean really, french toast? There was no bread left yesterday, and I accidentally dropped the eggs in the parking lot, leaving them splattered all over the pavement. We stocked up on food last night, really because we wanted some snacks to munch on while snowed in. The only issue is, now my husband was mandated to sleep at his job (hospital) and I will be all alone with all these snacks! :) During our grocery shopping last night, we got ingredients for risotto, pork tenderloin, chop meat, frozen pizzas, water, etc. We made sure to have batteries at home for flash lights, and a new lighter for candles and our gas stove/oven - just in case we lose power. I even stopped at Petco to stock up on my feathered children's food! 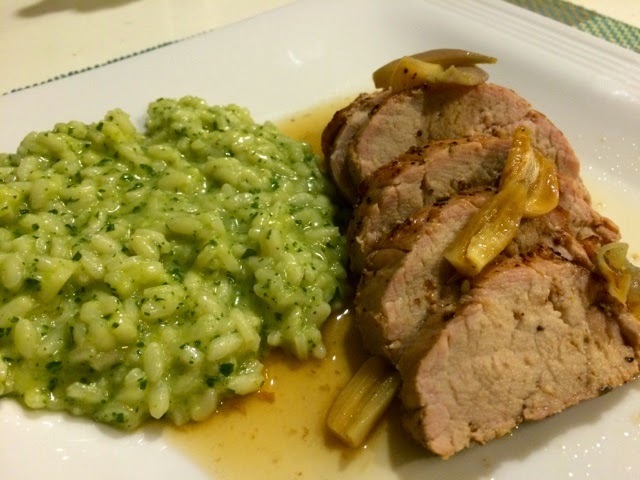 Being we had the ingredients to make a delicious dinner, I decided to go with basil risotto (one of our favorites) and a perfect pork tenderloin recipe. 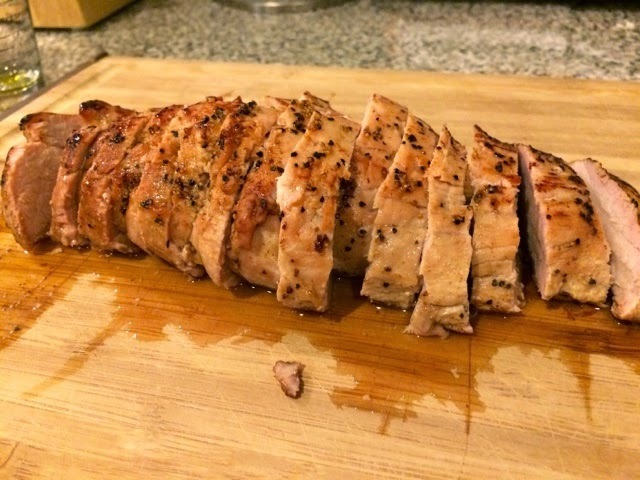 You will not be sorry when you taste the butter-like texture of this pork and flavorful honey mustard/honey glaze. It melts in your mouth! You can find the basil risotto recipe here. Below is the recipe for the pork only. *optional: carrots, fingerling potatoes, etc. 1. Season pork generously with salt & pepper. 2. Heat a medium/large non-stick pan. On medium to high heat, heat olive oil and butter in pan. Place the tenderloin in the pan and brown each side for 3 minutes (total of 6 minutes). 3. 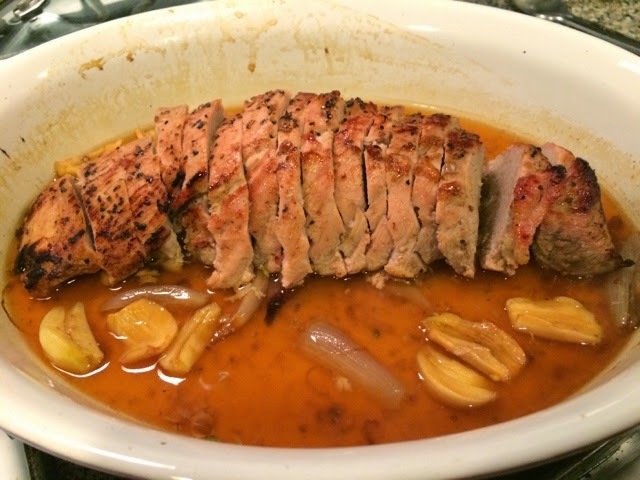 Put the garlic cloves and shallots in a casserole dish or roasting pan, leaving some room in the center for the pork. Once your pork is browned, place into roasting dish. Brush the honey mustard and honey on top of the pork. 4. Bake for 40 minutes on 350 degrees. 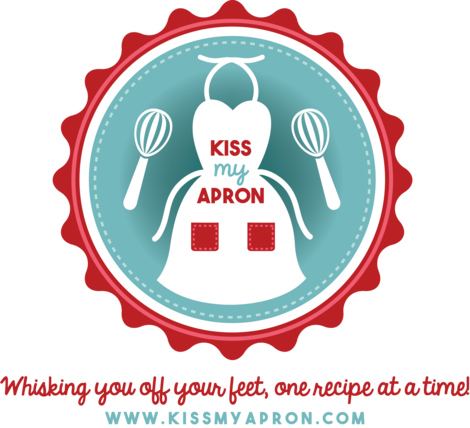 Add chicken stock into dish and continue baking for another 10-15 minutes (total of 55 minutes). Broil at the end for a minute or two to crisp the top. 5. Remove from oven and let sit for 3-5 minutes. 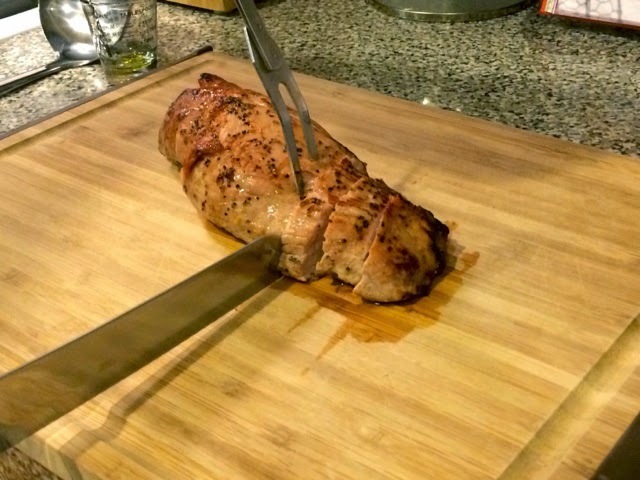 Slice pork about 1 inch thickness and serve. 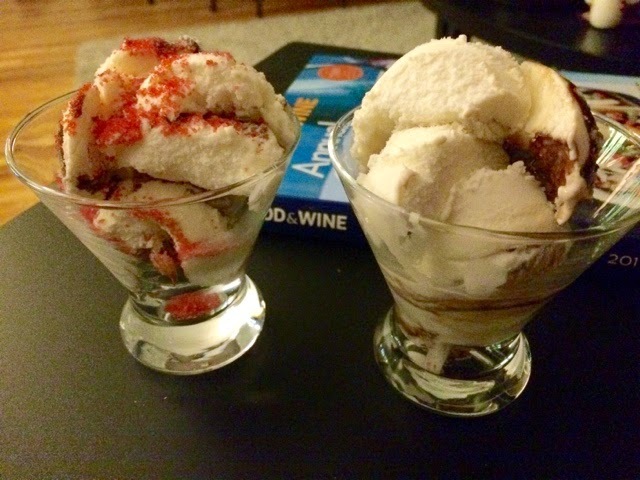 We always have sundaes on Sunday so here is a quick pic of our fudge ripple sundaes! Kevin doesn't like sprinkles so you can assume which one is mine!